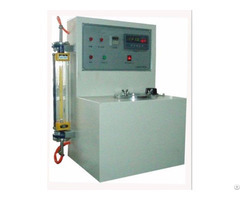 TABER abrasion resistance tester and wear resistance tester can be replaced by wheel and weight, which apply to the abrasion resistance performance test on fabric, cardboard, paint, leather, tile, glass and natural rubber, method is simple and easy to operate, which has been widely used in various industry's testing laboratory. 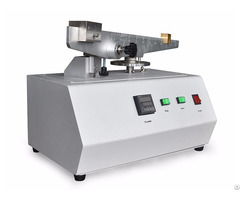 Abrasion tests, the material is standard wheel friction after a certain number of turns, evaluate its abrasion resistance material weightlessness rate by calculation. 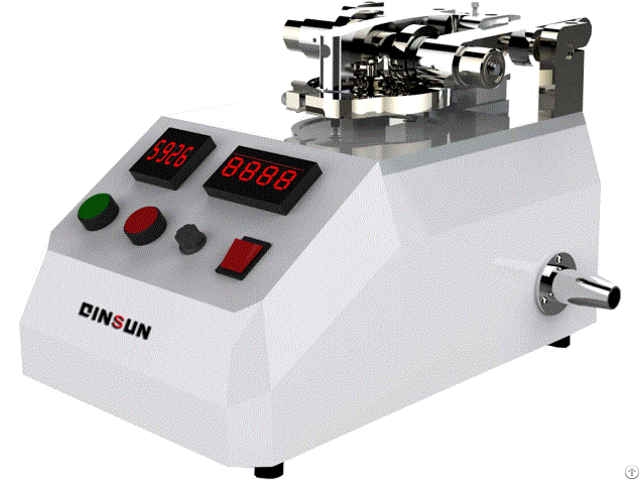 Operation panel with LCDscreen, display real-time speed with speed button, 30-75rpm speed adjustable.The number of wear cycles can be preset, setting range 1-999999 times. 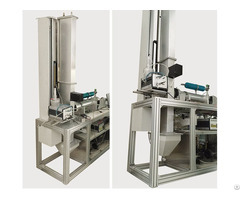 The rear arm can precisely balance the weight of the worn arm with balance weights to meet the 125 g pressure according to the ASTM standard, as well as other standards and special pressure requirements.